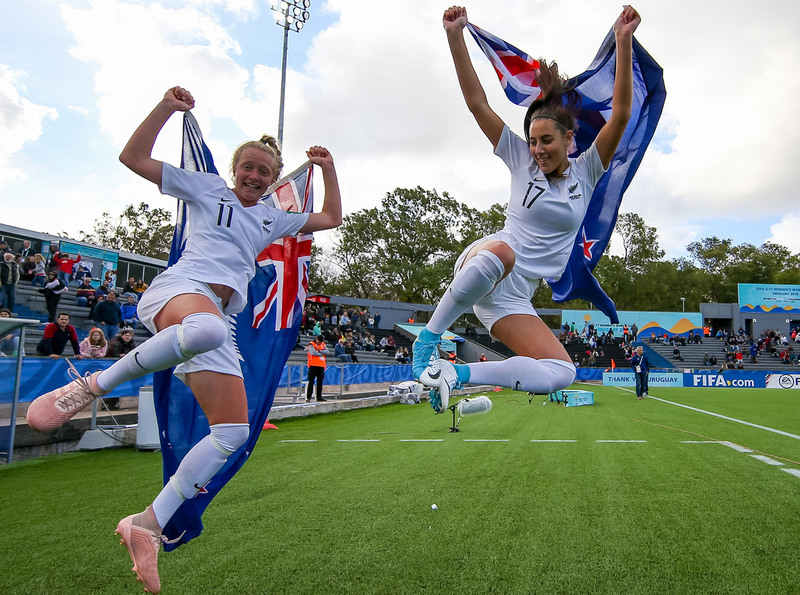 New Zealand have made history today by claiming the bronze medal at the FIFA U-17 Women’s World Cup after defeating Canada 2-1 at the Estadio Charrúa in Montevideo. There was more to come from the Oceania champions when Wisnewski doubled the lead in the 12thminute. Amelia Abbott linked with Jenkins who put forward a great through-ball. Wisnewksi showed great composure on the ball and hit a powerful shot to defeat the Canadian keeper Anna Karpenko. That goal gave Canada huge confidence and they poured forward time and time again in the final 20 minutes. Captain Huitema, Caitlin Shaw and Jayde Riviere all had chances but the Kiwis – led by Hannah Mackay-Wright, Mittendorff and Leat in goal – defended like their lives depended on it and kept them out.